Another key Eagles player is on the mend after offseason surgery. 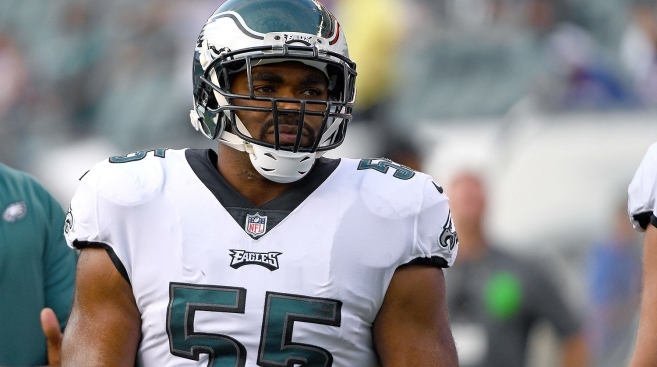 This time, star defensive end Brandon Graham is recovering from ankle surgery and will likely miss the team's spring practices, a league source told NBC Sports Philadelphia Tuesday. Graham is fully expected to be ready for training camp this summer, the source said. ESPN's Tim McManus first reported the news and said Graham suffered a high ankle sprain on Christmas night against the Raiders. The surgery was to help along the healing process. Graham, of course, became the hero during Super Bowl LII, when his huge strip sack of Tom Brady helped the Eagles seal the 41-33 victory in Minnesota. That means Graham pulled off one of the biggest plays in franchise history with an ankle injury. Graham is just the latest Eagle to have offseason surgery, along with Derek Barnett, Tim Jernigan and Alshon Jeffery. Graham, 30, is entering the final year of his contract with the Eagles and hasn't been shy about his ambition to get a new deal. In fact, signing Graham to an extension would probably help bring his salary cap number of $8 million down this season. It's been a long time since Graham was once prematurely labeled a bust. The former first-round pick has come into his own in recent seasons and has grown into the Eagles' best defensive end as a pass-rusher and run-stuffer. In 2017, he set a new career high with 9½ sacks.